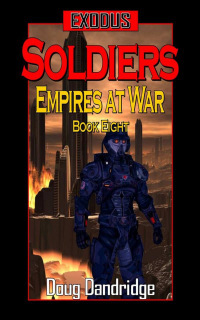 Soldiers – Absolutely great book in the Empires at War series. Blog post from PG’s Ramblings about Exodus: Empires at War: Book 8. The Cacas have been kicked out of the Empire and Republic, but New Moscow is still at risk. Less than a billion of the original fifty billion population are left, and they are being turned into rations for the Conquerors.